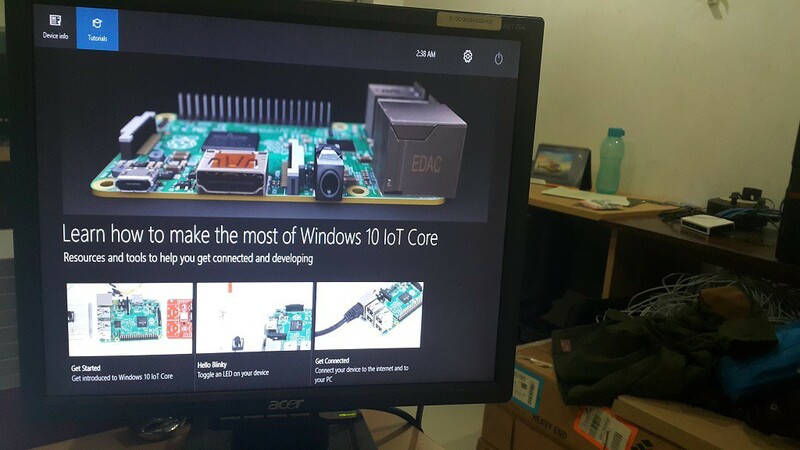 As mention in Release note at http://ms-iot.github.io/content/en-US/win10/ReleaseNotes.htm Windows 10 IoT Core Insider Preview has been updated may be to prepare for Windows 10 launching today. There are some differences in setup the image, not longer use DISM like previous release, but Microsoft recommended to use IoTCoreImageHelper. 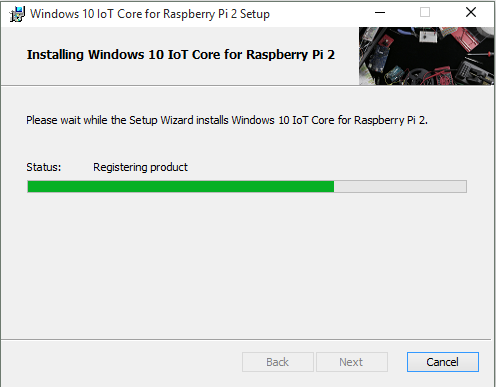 Step 1, download the ISO for Raspberry Pi 2 from the Microsoft Download Center here. 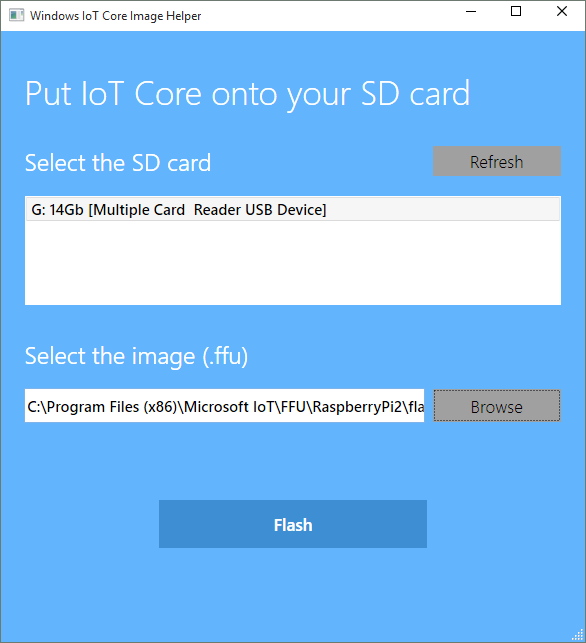 Step 3, after complete the installation, open explorer “C:\Program Files (x86)\Microsoft IoT” and open “IoTCoreImageHelper.exe” to use replacement of DISM. Step 7, its done! (with small text in the bottom :P) and ready to attach to monitor, btw the newest image support SSH that’s great! 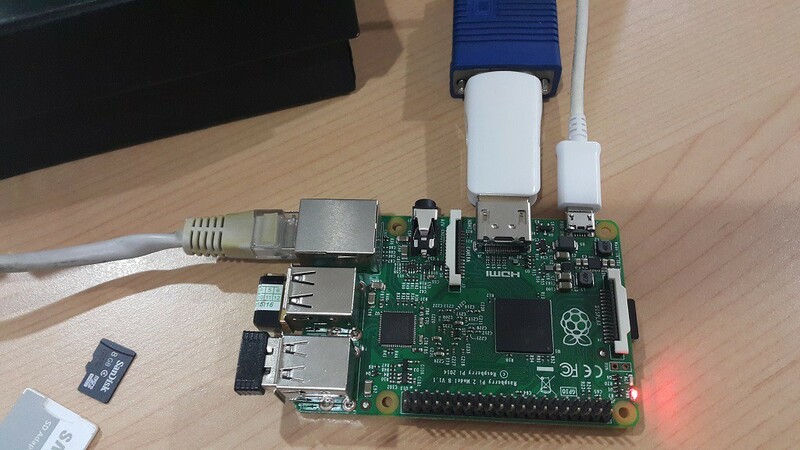 We will look wifi adapter already support or not, hope so.. 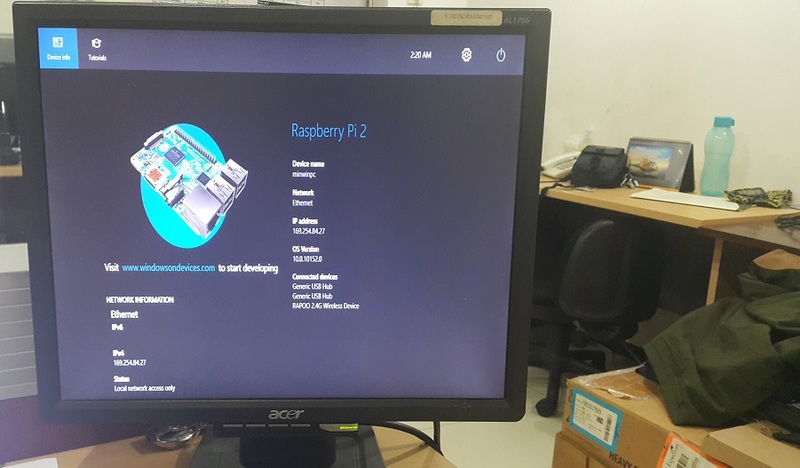 This is my raspberry pi 2, wifi adapter and wireless mouse already plugged in. 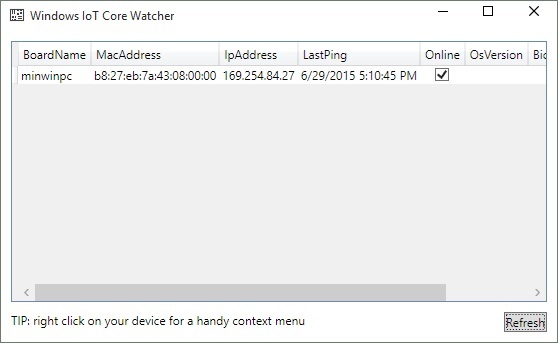 After several minute, the watcher show my device. Let’s we try the SSH Shell. 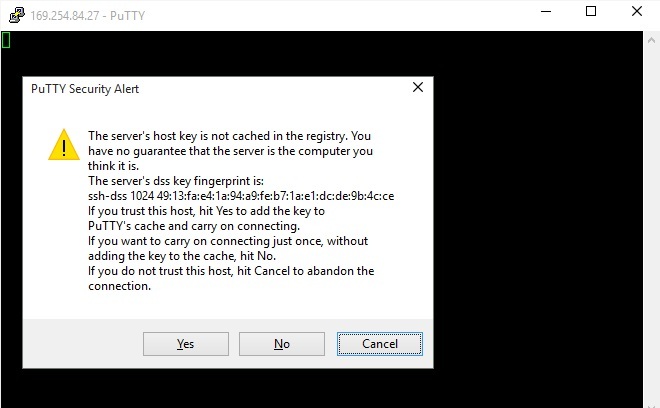 Open my Putty paste the IP from the watcher. Put the user name: Administrator and password is “p@ssw0rd” and viola! 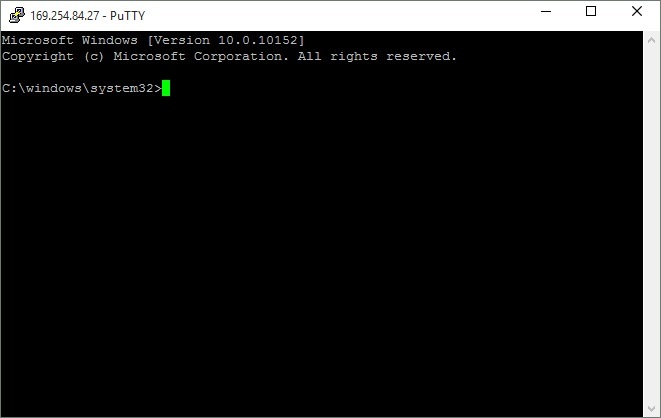 ssh mode to winiot device. that great! now check the head mode. 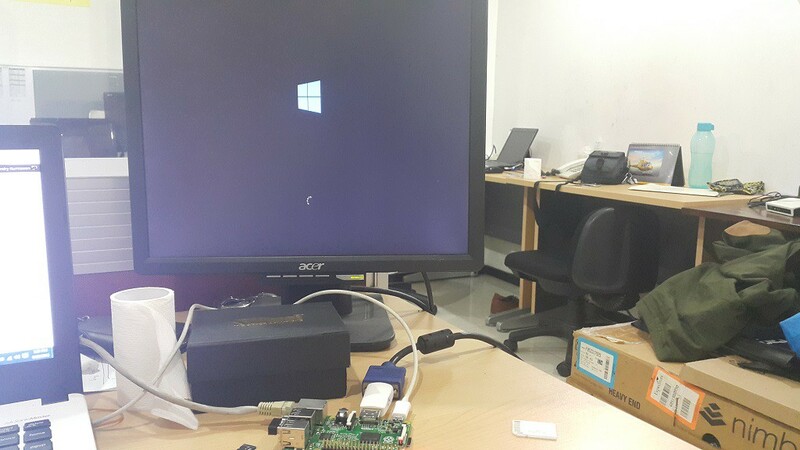 but before we go, please check my blog to change the VGA mode here. And viola! 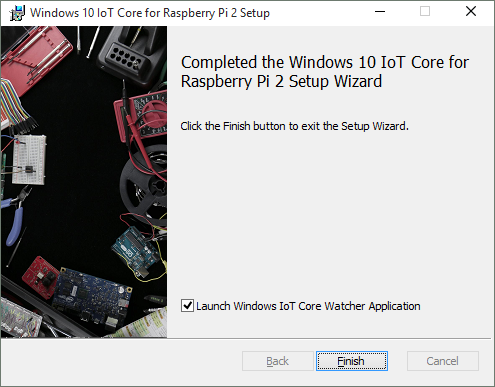 the Windows 10 IoT Core Insider Preview Update 24 June 2015 for raspberry pi 2 ready to use. The mouse its working. That great! but unfortunately wifi adapter still not working. 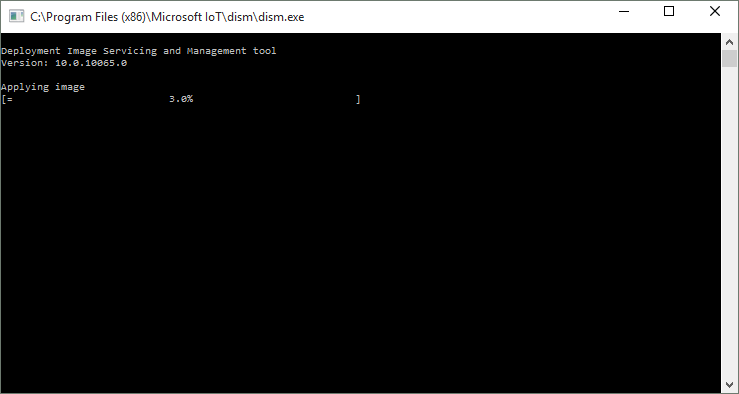 In the UI mode, there are “Tutotial” tabs that show how to use the board same in http://ms-iot.github.io/content/en-US/win10/StartCoding.htm. 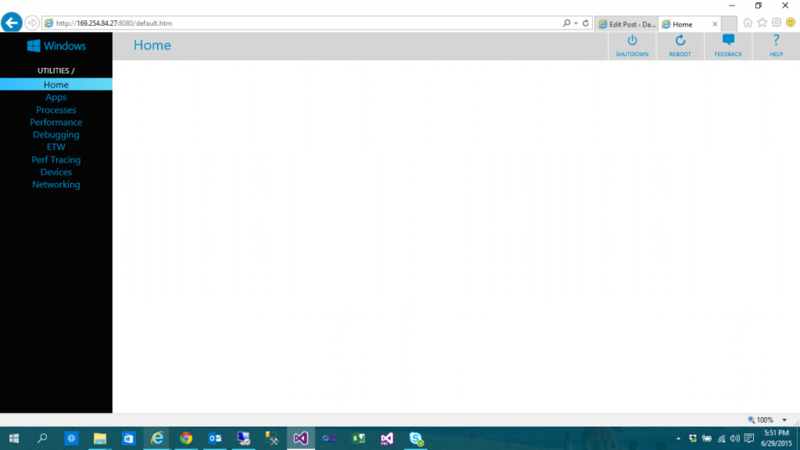 how about web based winiot? open web browser and open ip of your devices and do not forget to add port 8080. but unfortunately there is no major update so far except the UI. 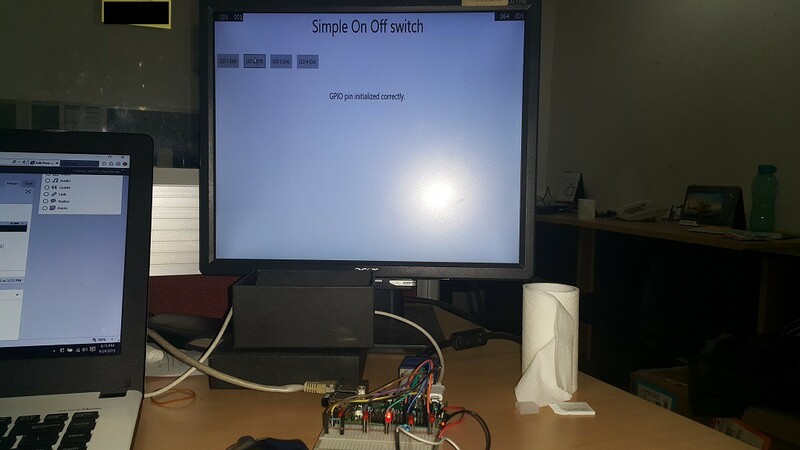 With my code simple on/off UI the GPIO run great, maybe the code is very simple just open and close the GPIO. Ok tomorrow I will try start for advance code with GPIO. Stay tune.